Whilst the number of respondents is a bit too low to be a true picture, POV’s survey does paint an interesting picture of the Documentarist’s world. 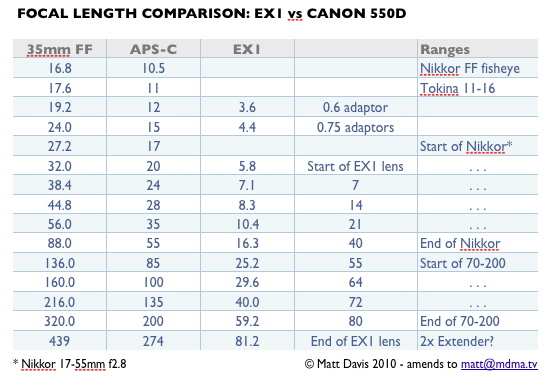 It’s still a ‘buy’ rather than ‘rent’ market, for the best part in love with Canon’s DSLRs and lenses. However, there’s a couple of splits I wanted to see, but isn’t here. Firstly the split by sensor size: what has happened to 2/3″, and what proportion are now S35? Secondly, and somewhat related, body design. There still seems to be plenty of room for ‘the little black sausage of joy’ – the fixed lens, all-in-one camera with a wide-ranging parfocal zoom. Yes, the Mac dominates in Docco editing. I boggle slight at the FCP7 market – twice that of all the Premiere Pro flavours. FCP7 used to bog down with over 35-40 mins in a timeline, and for larger projects I’d have expected a larger takeup of Premiere Pro. Still, at least Gaffer Tape makes it into the top 5 ‘things we love’ list.